Imitation is the sincerest form of flattery apparently. Well Oasis are (were) surely one of the most sincere bands around. 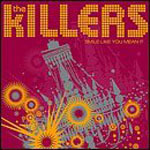 They have had numerous run-ins with other artists who claim plagiarism of their work, clearly not feeling flattered by the Gallagher brothers work. Perhaps Noel is sometimes just feeling too idle to write an original tune (do you see what I've done here?). The Importance of Being Idle has more than enough homage, from the title taken from the book of the same name, to the echoes of The Kinks and The Las in the guitar to the video featuring Rhys Ifans, that bears a striking resemblance to Dead End Street by The Kinks. 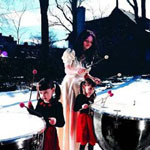 The track itself is a highlight of the Don't Believe The Truth album which itself clawed back some of the lost ground from the less than stellar preceding albums. Noel adopts a falsetto voice to deliver alternate lines as he recounts his own feelings on his sloth, opening the sorrowful tale by telling us he 'sold his soul for the second time'. 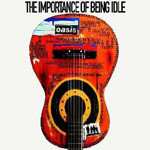 I can't really compare Being Idle to any another Oasis track and this is a good thing as it marks it out as a rather good oddity to the catalogue - Q readers incidentally voted it the best track of 2005. Tracks sung by Noel such as this are by and large better than Liam's nasal whine, who no doubt would have wanted it retitled to 'The Importance Of Being An Idol' were he to have had singing duties. Tony Christie feat. Peter Kay - (Is This The Way To) Amarillo? Ah, the good old charadee song. Always good to have a scoff at, due it's tendancy to be heavy on the celebrity and light on the musical plusses. For the second single for Comic Relief 2005, up stepped Peter Kay to the plate, dusting off the 1971 hit from British crooner Tony Christie. But whilst the song itself is a good deal stronger than most charity records, what really propelled it into the stars was the accompanying video - Peter walking through corridors of Manchester and London, accompanied by a wide and varied list of celebrities too long to list. Incredibly simple, but so strong was the nostalgia factor that everyone raced out and purchased it - becoming the best selling single of the year, and even garnering copyist videos, the best one courtesy of the troops in Iraq. It's actually quite cheeky of Mr Kay: the song is a straight re-issue, so he doesn't even feature on it, but he earns his credit for the video that took the nation by storm. If you listen very, very carefully to the beginning of this track you can hear Dave Grohl take a big, deep lungful of air before letting rip with the opening line, and you'd be advised to do the same because this is a full pelt head-first sprint through pure essence of Foo - between the larynx-shredding vocal, thrashing guitars and pounding drums there's little chance to catch your breath. 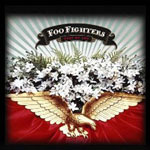 With such a perfect storm of rock it's no surprise that this track became the band's biggest selling single to date, and how better to mark a decade of fighting the Foo. Since This Is A Call hit the charts ten years ago the Foos have transformed themselves from Dave Grohl's pet project - save one guitar part he played all of the instruments on the first album himself - into the world's favourite shouty rock band, and Grohl himself has gone from "that guy from Nirvana" to the nicest rock star in the business - so nice even your mum approves of him. Long may they continue. 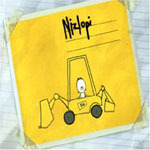 My Dad isn't Bruce Lee and he never had an industrial digger, but for some reason 'The JCB Song' gets me every time. It's like looking at old photographs, I'm immediately transported back to the early eighties, opening presents at Christmas in my pyjamas or hurrying home at lunchtime to watch 'Let's Pretend' and 'Pigeon Street'. It reminds me that every morning when I stepped out of the front door in my school uniform, I had no real understanding of what was going to happen that day, how the world worked or that pretty much every moment was shaping me into the despicable human I am today. Even so, I'm still not quite sure whether this record is authentic and beautiful or a song that's notable largely for its novelty. But either way, I'm all for it. The success of the American Idiot album from 2004 continued with this haunting ballad from the Californian trio. Given that the title track of the parent album made a significant and cutting social commentary, the first tendancy is to think that this is a loosely veiled reference to the scars that the 9/11 tragedy left on the US nation as a whole. 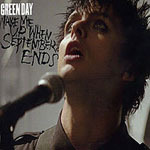 It is in fact written about the death of Billie Joe Armstrong's father from cancer, when he was ten. Whichever way you want to treat the song, the sense of sadness and loss is palpable throughout - from the stripped-back-bare acoustic guitar riff in the intro and Armstrong's plaintive vocals throughout. As rock ballads go, this is that rare thing - sincerety without being syrupy, once again proving Green Day are far more than a one-punk-trick pony. It's always good to see an unlikely guest providing the much needed missing ingredient to make a song simply spellbinding. 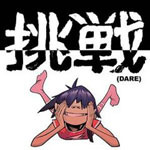 Damon Albarn has always been pretty good at sniffing in some shady corners to bring someone to the limelight, but to bring Shaun Ryder out of semi-retirement for a guest slot on this sly synth pop number is an inspired piece of musical casting. Ryder's usual pretty much spoken delivery in his trademark Salford accent gives all the dirt to match that grimy farty bassline, whilst new girl Rosie Wilson (playing the part of Noodle) is the counter-point sweetness that matches the twinkly keyboard noises and the main synth riff. Naturally, getting Shaun on board means bending to his will - it should have been called "It's There", but Ryder's accent made it sound like "Dare" in every take. The title is so much the better for it. Jack White swaps his grimy guitar to thump out chords on a piano and is in full-on Southern Gent mode for what at first seems like an innocent sounding plea that a certain young lady might pay a visit on him, but underneath the tipped top hat lie bitterness and snide remarks from a spurned lover that lead you to the conclusion that she might be better off phoning first. Quite how Meg feels about all this is, as usual, anyone's guess as she solidly pounds away in the background with her mission to use every drum and cymbal in front of her at least once. One might have thought that the 70's provided every disco icon we could ever wish for - Gloria Gaynor, Donna Summer, Odyssey, The Bee Gees, Chic - and probably quite a few we didn't want, but the 21st century has produced one of the finest in Scissor Sisters. We've gone wild for their innuendo-laden lyrics and thoroughly mad melodies and "Filthy/Gorgeous" shows off their camp finery to perfection. Infectious from beginning to end, it's a song that will get you a'moving and a'grooving at any wedding, birthday party or works' Christmas do; just as long as you draw the line at trying out one of Jake Shears's mankinis! There are, by and large, two types of "end of relationship" song: there's the "why oh why, I'm lost without you" variety, which tend to be slow and weepy and give you a bit of a downer; and then there's the "thank Christ I'm out of that car crash" type, which are a different beast altogether. They're fast, they're full of energy, and they put a big smile on your face. No points for guessing that this track is one of the latter, and with its irresistibly bouncy chorus and a fantastic release of energy when Ms Clarkson screams the title it's a great example of the genus. In fact it's so good that I can just about ignore that fact that she seems to have forgotten how to spell the word "you've" on the cover. We've all been there haven't we? Been dumped and then accidentally bumped into said ex and their new squeeze and tried to pass off your heartbreak with nonchalance and a certain amount of bared, gritted teeth. Although how anyone would be mad enough to dump Brandon Flowers is beyond me! Maybe he has halitosis or something... But anyway, the song is one I would describe as a 'grower'. I don't think I would have voted for it back in January 2006 as one of the best 10 songs of 2005, but over the years it's clung on like a limpet desperate not to be washed away by the tide and I've grown to appreciate its almost understated nature when compared with the "wow factor" of Mr Brightside and Somebody Told Me. Just don't ask me to test the theory when I meet any of my ex-boyfriends!